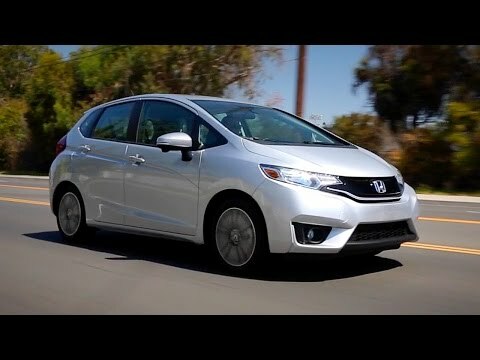 The 2017 Honda Fit is the yardstick against which all other subcompact cars are measured. It offers unbeatable utility, thanks to its so-called Magic Seat. Combine that with excellent fuel economy, nifty styling and a low price tag, and you already have a class leader. The driving fun is just icing on the cake. Do not buy any other vehicle in this class. My 2017 Honda fit is very reliable. I have had it for under a year, I have approximately 10,000 miles on it, and I have not had a to do any repairs, except the normal maintenance of change the oil. When the tire air pressure is low, I light comes on in the vehicle to alert me to add air. How cool is that! The features are mostly the same as any other features in other cars in its class, so i'd say they are "nothing to write home about". It handles the road well (performance); picking up speed is about average. I do like the big windshield and big windshield wipers for those times you need added visibility in storms. The backseat is quite roomy. The hatchback is roomy as well. Vehicle is great on gas mileage, easy to drive lots of vision through all windows. Can carry a lot in car, back seats lie flat or fold up to carry tall plants. Cheap on gas. Love the right turn light. Sun roof is great. Easy to drive. Radio has excellent sound great blue tooth has pandora capability. Smooth driving the engine can be a little loud. The radio sounds great. Love the keyless entry and the alarm. It has daytime running lights. A little slow on take off but drives up to 85 with no shaking. Don't care for horn. Amazing amount of space for packing stuff. Initially I tried to find a used fitbit no one is trading them in. I found a 2017 model as the 2018’s were just coming on the lot, so we were able to get a pretty good deal. My wife and I are “empty nesters” so we do not need anything to big. Plus I was going to use it primarily to drive to work. It is been very reliable and gets great gas mileage. We've been amazed at the amount of stuff we can pack in the fit. The dashboard gauges and controls are easy to use and see. Couldn't ask for a better car.